Through a col­lab­o­ra­tive approach in South Los Ange­les, Com­mu­ni­ties in Motion is in a col­lab­o­ra­tive net­work with Com­mu­ni­ty Health Coun­cils to help the Best Start Comp­ton -East Comp­ton lead the com­mu­ni­ty in its vision to improve the lives of chil­dren and fam­i­lies through­out Comp­ton. Fund­ed by First 5 LA, the Best Start Comp­ton-East Comp­ton Part­ner­ship orga­nizes month­ly Part­ner­ship meet­ings in Comp­ton- East Comp­ton that are open to all com­mu­ni­ty mem­bers. Reg­is­ter for our next Part­ner­ship meet­ing on Thurs­day, July 26, 2018 from 9:30 am to 12:00 pm. 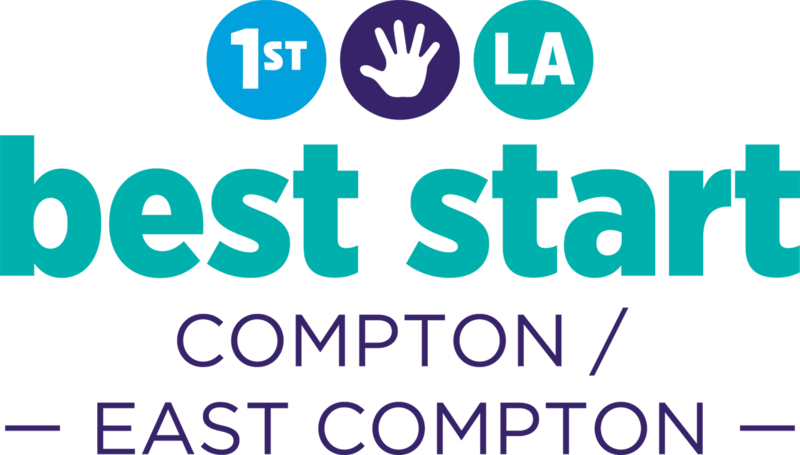 For more infor­ma­tion, con­tact (424)260‑6266 or email info@beststartcompton.org. I would like t o get involved!